I'd say I'm roughly 50% calm and 50% nervous. My hands are calm as they carefully tuck yet another batch of pastry into a tart tin or as they guide a piping bag around now-familiar lines. My brain is calm as I write and re-write quantities and methods, stashing them in my memory. My eye is nervous, flickering from lack of sleep. My stomach is nervous, intermittently releasing a butterfly. This week marks my first set of exams at Le Cordon Bleu. On Tuesday I have my practical exam. There are three exam dishes - I will have to pick an unseen token when I enter the room, which will tell me which dish I make. The possibilities are: the tarte aux citron, the coffee eclairs, the raspberry genoise. Now I tend to think about them in terms of my fears: the shrinking tart case, the fondant topping, underfolding my genoise and finding flour pockets. On Friday I have my technical exam. I haven't really started learning for it as it's only 10% of my overall mark (compared to 45% on the practical exam - the other 45% has been the continual assessment in my practicals). By Wednesday morning I'll be squirreling away sugar temperatures, fat contents and more recipes. In the past few weeks we've made a few bavarian creams to fill charlottes and so on. I thought I would try out a slightly modernized version I found in Tartine. My presentation wouldn't work at school but I fancied a casual look. 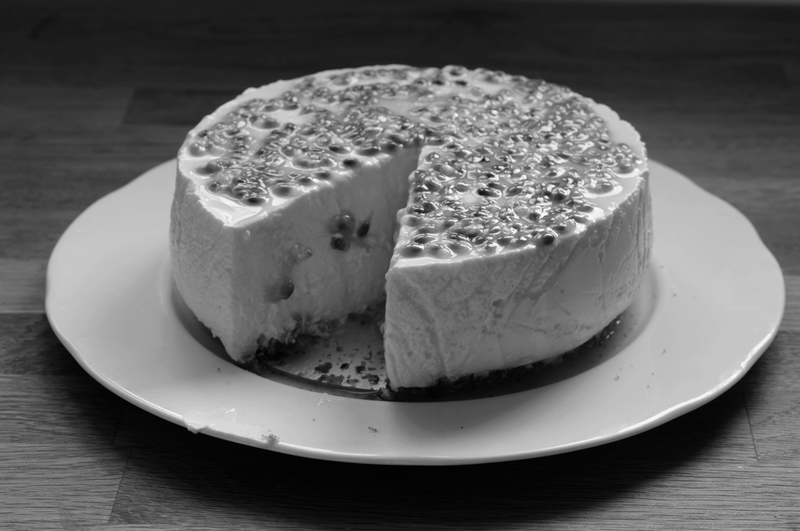 It's a subtle, light dessert and would be perfect for after a heavy meal. It's creamy but not rich. There's only a touch of sweetness so it feels almost refreshing - the best word I can think of to describe it is pure. Line the sides of a 6" loose-bottomed tin with cling film (you could also use a wider tin, such as 7 or 8", and I would have used acetate to line if I had any so that it was totally smooth). Spread the pistachios in the bottom of the tin in an even layer. Place 60ml of the water and the sugar into a small pan and heat until the sugar dissolves and you have a syrup. Pour into a round-bottomed bowl and leave to cool. Set a pan on the heat with a few inches of water that the bowl with the syrup will fit into without touching the water. Sprinkle the gelatine over 30ml of hot (not boiling) water to soften. Add the egg yolks to the syrup and combine. Place over the pan and whisk until thick and foamy (the ribbon stage - if you take the whisk out, the drips should stay on the surface before merging again) - this takes about 5-10 minutes. Once ready, whisk in the dissolved gelatine. Set the bowl into an ice bath (or sink of cold water) to cool, whisking every now and again (you need to be fairly quick with the next two tasks and keep an eye on it). In another bowl, combine the fromage blanc and 75ml of the cream, whisking until smooth. Whisk the remaining 300ml of cream up to soft peaks. Once the yolk mixture is starting to set, combine 1/3 of the yolks into the smooth fromage blanc mixture to lighten it. Fold the rest of the yolks in carefully. Fold in the lemon. Finally gently fold the cream into the mixture in two goes. Transfer to the prepared tin. 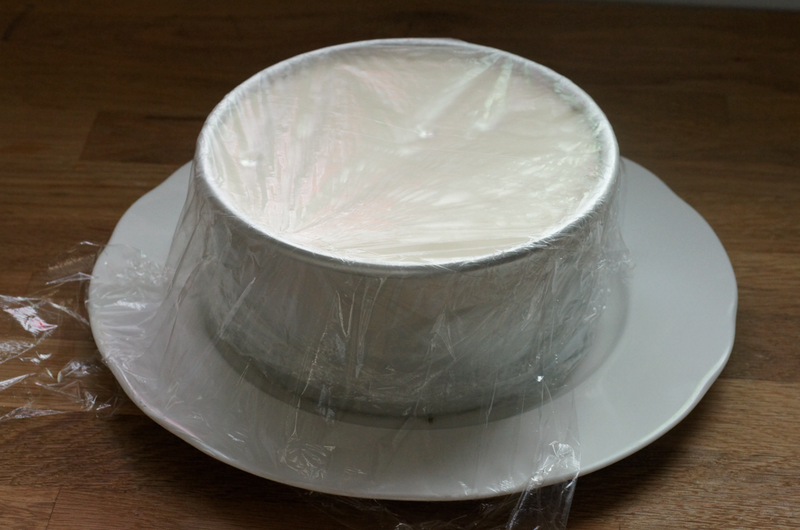 Smooth the top and cover with cling film. Place into the fridge. Chill for at least 4 hours - overnight is best. When you're ready to serve, scoop the passionfruit seeds out into a small saucepan. Add the icing sugar and warm slightly to dissolve the sugar. Test to see if you need more sugar. Take the bavarian out of the fridge and unwrap the cling film. Ease it out of the tin (or snap open the springform) and peel away the plastic. Slide off the bottom onto a serving plate. Top with the passionfruit glaze. *If you would like a stronger citrus flavour, add the zest of half a lemon or 1/4 of an orange - I wanted mine simple. Wow... I have been looking at your most wonderful creations on twitter and lost for words:):) wish the best and best of luck for your exams but quite frankly you don't need it, you have your talent!!! 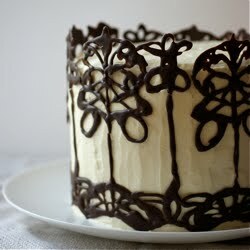 And this elegant cake looks divine, too!! I think you will ROCK your exams! 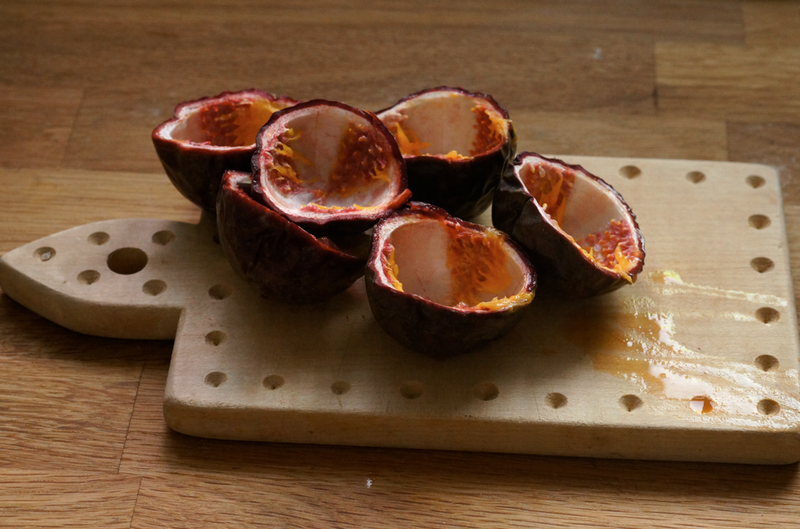 I absolutely love that first photo with the empty passion fruit shells. Gorgeous. 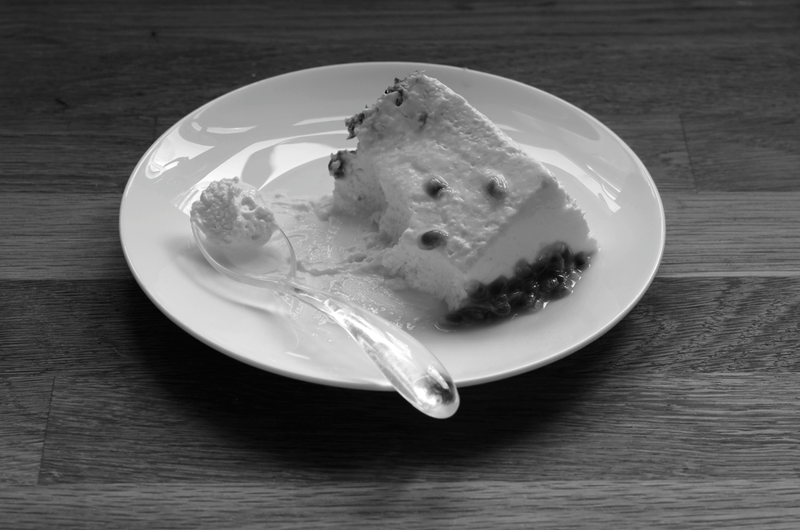 A very ethereal dessert; the presentation is compelling. It evokes the colors and mood of early winter with the pairing of the passion fruit, pistachios and the Fromage Blanc Bavarian. Good luck on your exams this week! Good luck for tomorrow. 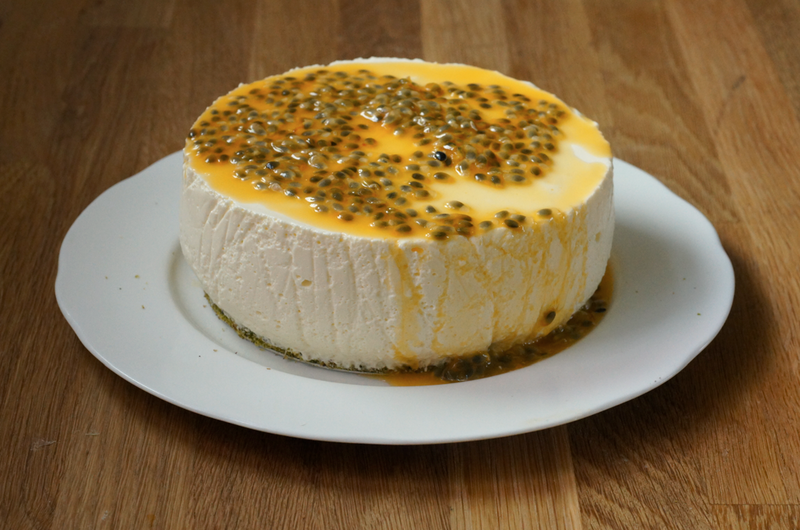 Fabulous photos and even more fabulous Bavarian cream - mmm, love passionfruit and cheese. Emma, Good luck on your exams. I bet you will be amazed at how much information and technique you have internalized. I'm so excited for you! And I love that you are working with a Tartine recipe - my local peeps! I'm not entirely sure what would be best - it's not an ingredient I've used lots of times. Perhaps greek yogurt? I'm so pleased to hear that you've made lots of things - that's wonderful.